Outstanding views of Nelson Bay and Core Sound. Property also offers a private beach. It is just minutes away from Core Banks and the National Seashore. Property offers a lot of privacy. 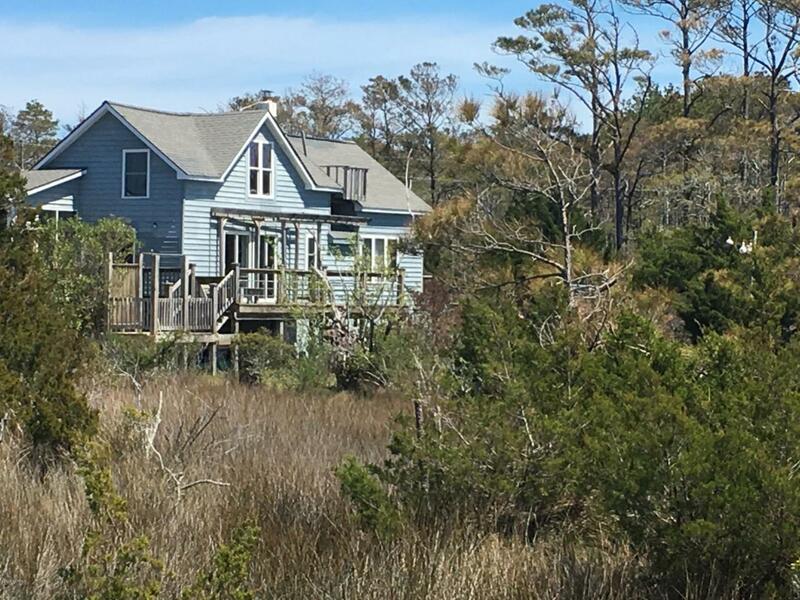 A nature lovers dream come true, with a acre of salt marsh that is home to a variety of wildlife. Two canals cut up into property, offering access for canoes. There is a large deck, a screened in porch, and a pier over the marsh for docking or simply fishing. Older home that has been added onto, and raised in 2004. There is large deck and screened in porch. Home offers 2 BR's and one large bath with open walk in shower and claw tub. Many special features. A must see. There is a shed used to store boat equipment on site as well as a 24'x24' building that was built for a pottery workshop.